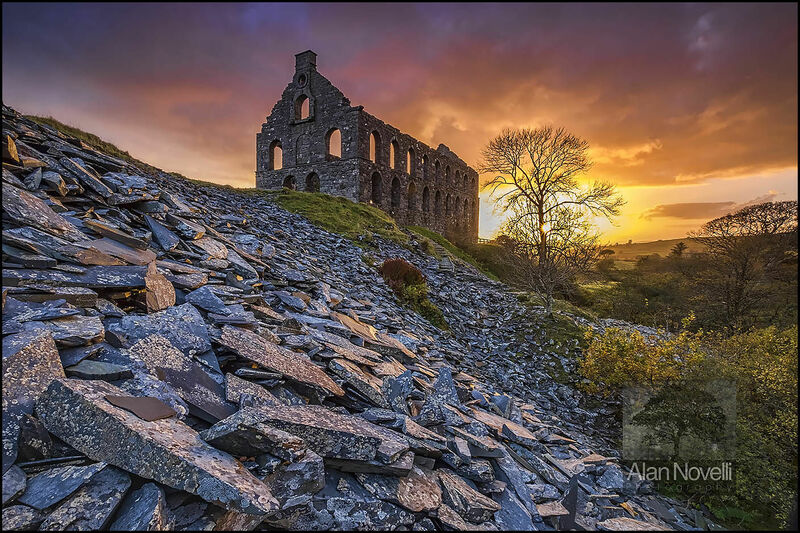 A glorious sunset over the disused slate mill of Ynys y Pandy in western Snowdonia. After multiple visits to this site I was finally rewarded with the conditions I had wanted for my image. As I stood at the base of a shifting spoil heap in this remote location, I could almost hear the ghosts of the Welsh Quarrymen singing!